Salehi (L) and a picture of the Arak reactor in the background: Nuclear activities at the heavy water reactor in Arak continue. During an interview (on January 22, 2019) on the Face to Face program (Channel 4, TV-IRIB) that was part of commemorations of the 40th anniversary of the Revolution, Salehi criticized claims by the conservative camp that Iran had completely sealed the core of the reactor. He claimed that images published at the time were photo-shopped, and Iran was never required (in the agreement) to seal the core of the reactor with cement. Instead, this applied to other parts of it. He added that construction on the heavy water reactor in Arak was not completed during the time of the debates on the nuclear deal. Salehi emphasized throughout the interview, which discussed the achievements of the Iranian nuclear deal, its progress also during the implementation of the nuclear agreement. The JCPOA’s requirement to fill the Arak reactor’s calandria with concrete. Salehi also said that Iran has developed its own nuclear technology and it has not encountered any restrictions with regard to research and development of this technology. He added that, “The restrictions are primarily connected to the manufacture of advanced centrifuges over a period of eight years… The Europeans need eight years to assemble centrifuges, from the planning stages until they become operational. For Iran, it takes ten years. … Over the past three years, we have injected gas into IR-8 centrifuges. We are encountering many problems with these. Many more tests are required for everyone to succeed in the goal of reaching mass production capability… More time is needed for additional tests, but we are already able to mass produce the IR-8. During the interview, Salehi was asked what the advantages were of Iran remaining in the nuclear agreement. He replied that during the negotiations for the nuclear deal, he presented Iran’s situation to Iran’s leadership (including Supreme Leader Ali Khamenei). He described the halting of its tanker fleet, the drop in oil exports to below one million barrels a day, and how he had gone from one country to another in an attempt to bypass the sanctions in various different ways in order to obtain dollars. Salehi stressed that now, after signing the agreement, Iran was not presented with the same tough problems that it faced prior to the signing of the agreement, and its international standing has improved no end also at the Security Council, despite the efforts of the United States. At the same time, Salehi stated, he was not very optimistic about anything connected to the abilities of Europe to assist Iran. However, reading between the lines, he and the Iranian government are not interested, at least not at this stage, in giving up on the attempt to harness the Europeans or to withdraw from the nuclear agreement. Salehi’s words follow his statement on January 15, 2019, that Iran is capable of increasing its percentage of uranium enrichment to 20 percent within three or four days. Salehi said in November 2018 that Iran had not taken this step until this point, as there was no need, and that it had enough enriched uranium to meet its need for the next few years. The statements of Salehi and other senior Iranian officials regarding the nuclear program are meant to increase Iranian pressure on the European countries and attest to growing Iranian disappointment with Europe’s inability to take an independent position. Iran expects Europe to stand by its commitment to guide the Special Purpose Vehicle (SPV), a financial mechanism to get around sanctions that would have provided Iran with access to the international banking system while bypassing the United States. However, in the meantime, tension is specifically rising between Iran and Europe around the discovery of Iran’s involvement in terrorism on European soil and launching ballistic missiles and satellites into space. This tension was expressed on January 8, 2019, during a tense meeting at the Iranian foreign ministry between representatives of France, the United Kingdom, Germany, Denmark, Holland, and Belgium. During the meeting, the European diplomats attempted to protest Iran’s terrorist activities on European soil and ballistic missile testing. However, Iranian foreign ministry staff suddenly abandoned the meeting, slammed the door, and left the Europeans behind in shock. This undiplomatic gesture and the implication of renewed Iranian nuclear activity (including the hint that Iran may ultimately quit the nuclear agreement) are meant to express the protest of the Iranian government and its ongoing disappointment at Europe’s cumbersome implementation of assurances it gave Iran. These actions also serve as a tool in the government’s struggle against the growing voices in the conservative camp to withdraw from nuclear treaty. At the same time, in response to the hardening of European policy toward Iran and inability of Europe to “deliver the goods,” conservative elements in Iran continue to criticize the government for not quitting the nuclear deal yet. 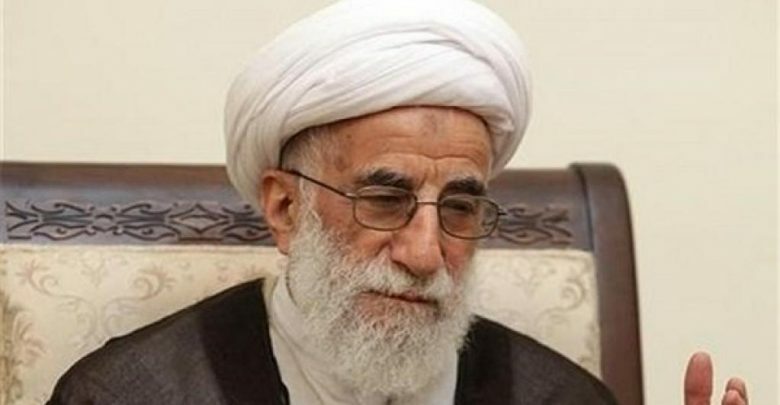 As an example, on January 17, 2019, Ahmad Jannati, the head of the Assembly of Experts (the body that selects the Supreme Leader and supervises his activities) quoted during a meeting with the Assembly the Supreme Leader’s statement made in 2016 that if the U.S. president rips up the agreement, Iran will set the agreement on fire. He asked why the government did not follow in that path. “There are government officials who believe that after the United States quit the nuclear agreement they can rely on Europe, but Europe is slow and dragging its feet and does nothing for us.” Jannati said that the Iranian people are ready to make the sacrifice if Iran quits the nuclear agreement and incurs tougher sanctions. He also called on the government to increase its assistance to the Iranian people. Khamenei himself later explained why he didn’t burn the nuclear deal as he had promised (in 2016) and said that as long as it serves Iranian interests, Iran would not withdraw from it, but if the agreement no longer served Iranian interests he would know how to burn it. Meanwhile, President Rouhani and his government are still trying to save the nuclear agreement and are conducting a battle against the mounting conservative voices to withdraw from it. The mounting tensions in relations with Europe make this battle more difficult day by day. For now, Khamenei continues to sit on the fence and allows both sides to present their claims to him. It appears he leans more toward the conservative camp and continues to prepare Iranian public opinion for further sacrifice, especially on the eve of commemorating the 40th anniversary of the Islamic Revolution next month. The sacrifice could entail additional sanctions coming from Europe as well, beyond the long chain of sanctions that accompanied the Islamic revolution until now and actually contributed to its success. Iran’s negative actions in “the hot spots” of the conflicts in the Middle East – Iraq, Yemen, Syria, and Lebanon – the recently exposed activities in Europe, and the latest ballistic missile tests make it difficult for the Europeans, who still support the nuclear agreement, to continue “business as usual” with Tehran. This finds expression in the changing tone toward Iran and the political actions against Iran (such as sanctions against the Ministry of Intelligence) in the spirit of President Trump’s policy that calls for isolating Iran with disabling sanctions. These topics will probably be discussed during next month’s global conference in Poland on Middle East peace and stability (February 13-14, 2019). Iran is not invited to the conference, which has caused tension between Iran and Poland and the EU. IDF Lt.-Col. (ret) Michael (Mickey) Segall, an expert on strategic issues with a focus on Iran, terrorism, and the Middle East, is a senior analyst at the Jerusalem Center for Public Affairs and at Alcyon Risk Advisors. Next articlePoll: Who Is More Suited to Be Prime Minister?